Heard that this is one of the most accessible Goethe’s and so it made sense to start with it. I’ve not read any of the German classic writer before. How was it? It was okay, but my reading of it was somewhat tainted by having already read Armstrong’s Conditions of Love in which he illustrates archetypal romance and infatuation with reference to Werther. That Armstrong would do this illustrates the legacy of this short novel. It’s depiction of the dramatic and extreme emotions that Werther goes through were a break with tradition at the time of Goethe’s Germany. 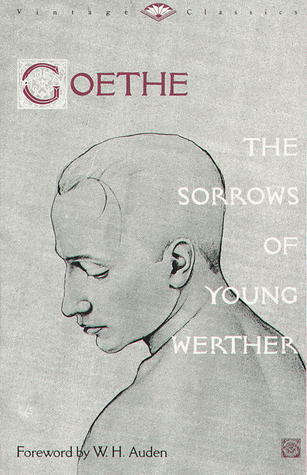 If Werther’s behaviour seems extreme to us now, they probably seemed even more so to Goethe’s contemporary readers. That’s not to say that his readers could not relate to the character of Werther in real life. After all, the novel is based, in part, on Goethe’s own romantic experiences. I think what made the book revolutionary was that someone was putting it down in print and being so frank about it. The literary age was dominated by a conservatism in feeling that made Goethe’s work a sensation. Even Napoleon loved praised it and we all know how hard a man he was to please. The novel has definitely lost some of its original impact. Of that there is no doubt. Readers ignorant of its place in the history of the novel will be tempted to just say it is yet another overblown romance. I certainly was. But the novel is worth reading more than simply for its place in history. Werther lives in all of us as we get caught up in feelings that make rational sense to us while all around us people think we’re off the wall. And his solution to the dilemma of unrequited love is something I think most of those honest enough to admit would say we ourselves have considered from time to time. If we haven’t, we’re either lying or not really allowing ourselves to experience life to the full. And that’s where the novel makes an important contribution to our world, questioning as it does so, the notion that we are in control and that by attempting to be so, we are somehow able to actually live. I very much appreciated this challenge.